In the biological realm, a complete explanation of a trait seems to include an explanation in terms of function. It is natural to ask of some trait, “What is its function?” or “What purpose in the organism does the particular trait serve?” or “What is the goal of its activity?” There are several views concerning the appropriate definition of function for biological matters. Two popular views of function with respect to living things are Cummins’ organizational account and the Griffiths/Godfrey-Smith modern history account. 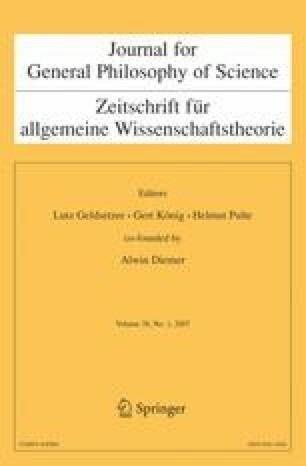 Whereas Cummins argues that a trait functions so as to contribute to the general organization of some organism’s present structure, Griffiths, and Godfrey-Smith argue that a trait functions because of its fitness with respect to the organism’s recent evolutionary history. In this paper, I show how these accounts can be made compatible and compliment one another. Given that structure, organization, operational flexibility, function, and evolutionary history are all factors to be considered in an organism’s makeup, we should expect that the traits of an organism function the way they do because such traits presently contribute to the overall organization of the organism (Cummins) as well as were selected for in the organism’s species’ recent ancestry (Griffiths/Godfrey-Smith).